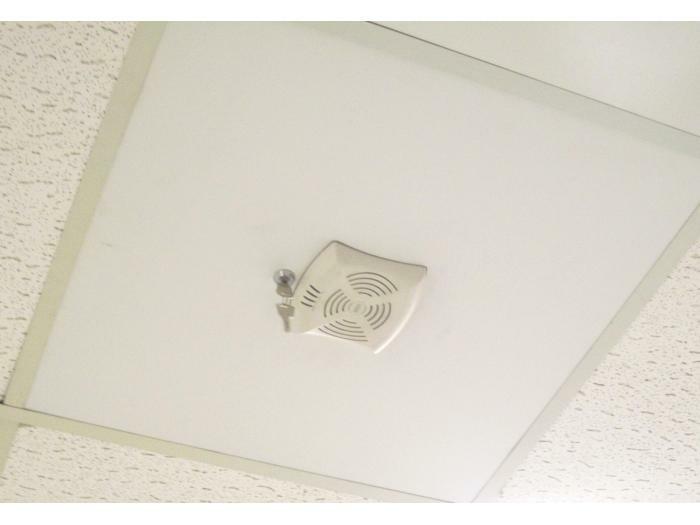 The Aruba AP-105 access point is a compact indoor access point that measures a trim 123mm by 135mm by 45mm in volume. This portable device weighs only 300 grams when unpacked. This slender structure makes it ideal for use in many areas within hospitals, offices, retail stores or schools where space is a premium. It can be mounted on any wall using the standard wall mounting single gang brackets or along ceiling tile rails with the minimum of effort. It is ideally suited for indoor use and can effectively multi task at different levels. This makes it very suitable for busy work areas where high ceilings are the norm. This ensures that this device works with minimal interference from the general populace from where it is normally situated. The multi functional AP-105 provides indoor radio users with 802.11n bandwidth facilitation and also data transfer rates of up to 300 mbps. The bandwidth provided by this device can compete with any cabled LAN solution. This is possible via its many directional antennas that have the unique downward tilting set up. This sophisticated antenna design helps to increase the area over which this device can operate as well as ensuring its continued dependability. The AP-105 is also equipped with the work efficient abilities of two by two MIMO double band radios, channel bonding and block acknowledgement to increase its overall output. The AP-105 can be used with a variety of other Aruba mobility devices to create a flexible working environment that can switch between cabled and wireless when the need arises. This reduces any wastage that can result from underused network ports. The resultant savings are very crucial for ensuring a decent return on LAN investment capital which tends to go beyond budget if not carefully monitored. This adaptable working method makes the AP-105 a very popular device to use for growing dynamic networks with changing uses. Since it operates over a wireless interface, the AP-105 can be configured to work like its cabled counterparts. This functionality is provided by the flexible radio control and spectrum methodology. Operating at between 2.4 and 5 GHz range, the AP-105 ensures that its many clients receive value for money. Within these ranges, it is also able to block any unwanted interference from radio frequencies. This makes it highly flexible as a wireless local area network. 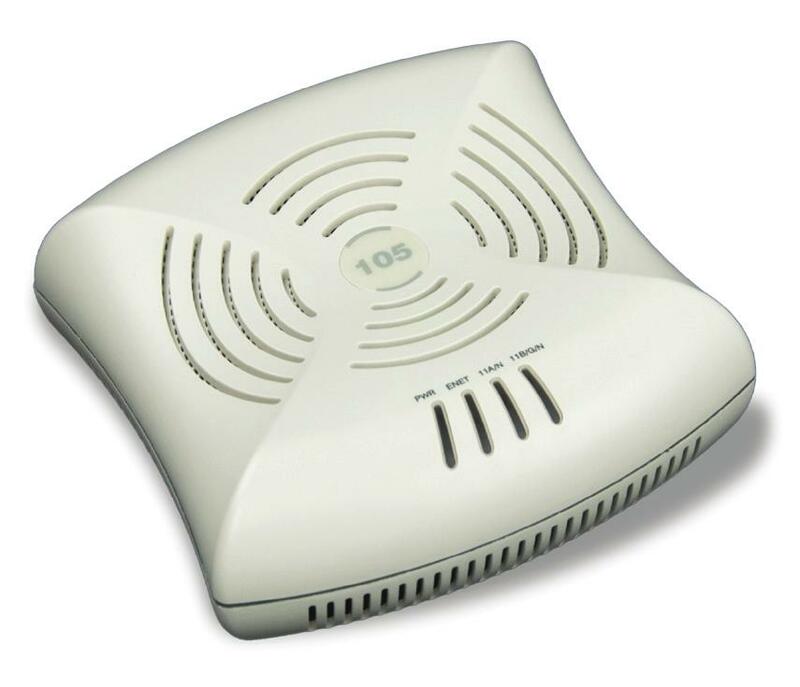 This functionality is enabled by the AP-105′s additional features for detecting wireless intruders and preventing them in good time. This is provided through its amalgamated RAP and its protected enterprise mesh portal or point. It is also equipped with an integrated trust platform module that is designed to store highly secure data. The aesthetically appealing AP-105 once fitted on any high ceiling, adds to its visual appeal. This is because, with its new age aerodynamic look, it becomes difficult to detect or discern its true functionality. This makes it an asset in busy areas that have lots of human traffic passing within its vicinity on a daily basis. It also operates at standard power levels of only 1 link for direct current. Its low power consumption of 12.5 watts makes it a cost effective solution for many busy work places. It requires a single RJ45 connector for delivering 10/100/1000 base-T Ethernet speed together with MDI/MDX functionality. The AP-105 has been designed in line with many of the wireless installation standards of many countries. These standards include FCC, EN, CB, KCC, NOM, UL, CE, EEC, IEC VCCI, ANATEL and SRRC among many others. This makes this user friendly device very easy to use in all the continents the world over. Furthermore, the AP-105 is Wi-Fi certified to operate at the wireless bandwidth frequencies of IEEEs’ 802.11a/b/g/n. This makes it a very popular wireless networking device for demanding workplaces that have different wireless requirements. This enterprise grade wireless networking solution with radio frequency capability retails at about $550 per single unit. It can also be leased where required at a monthly investment of about $ 17 per month. It also comes with a limited lifetime warranty. Buyers can also download a data sheet to verify the performance of the AP-105. This means that, the AP-105 can be introduced into an existing and growing network to enhance wireless capability when the need arises. It can also be used as a support for a new wireless network that is evolving to include the various capabilities that wireless network users require of their wireless networks. It provides a good return on investment because it can perform on many levels and still deliver throughput for each individual user. The AP-105 can operate in cool dry conditions that are away from excessive humidity or fluctuations in room temperature. Humidity levels should always be kept between 5 and 95% while room temperatures should fluctuate within the acceptable limits of 32 and 122 degrees Fahrenheit. This means that, this device is very flexible to the changing inner environment of its surroundings and can adapt to suit both crowded and sparsely populated places. Furthermore, it can be used in a wide range of both public and private work areas.